Quality neurological hammer with brush in handle and needle in head of hammer. Available in Brass chrome plated and stainless steel materials. Actual price upon request/contact of buyer. 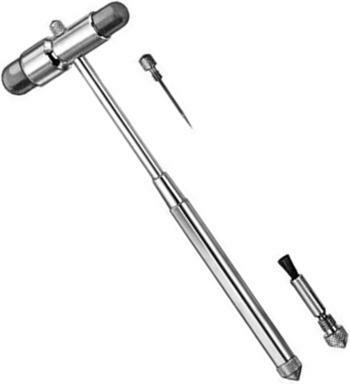 visit www.farukhsurgical.com for surgical instruments range.